Federal TRIO programs, a collection of federally funded programs designated to prepare low-income and first-generation students (students from families whose parents do not have a four-year college degree) for college success, began with the Economic Opportunity Act of 1964 and a pilot program called Upward Bound. With the vision of Lyndon B. Johnson’s “War on Poverty” – and in collaboration with several leaders of the time, including, but not limited to, Martin Luther King, Jr., Congress passed the Higher Education Act of 1965 and solidified the importance of a college education not only for those who were financially capable of attending, but for all students regardless of their financial status. Through programs from the “Great Society”, the Johnson Administration emphasized the importance of the higher education system and believed that these institutions were places that could facilitate the rising of the poor above their financial circumstances so they could become equals in a society that was stricken with inequality. Despite funding and political challenges, with the help of TRiO students, staff, and community members, the TRIO programs have not only survived, but have grown from one program in 1964 to eight programs today. The term “TRiO” refers to the first three programs of this nature that fell under the Higher Education Amendments of 1968, Upward Bound (UB or Classic UB – 1964), Talent Search (TS – 1965), and the then newly proposed, Special Services for Disadvantaged Students (SSDS – 1968), now known as Student Support Services (SSS). The remaining five TRiO programs include Veterans Upward Bound (VUB – 1972), Educational Opportunity Centers Program (EOC- 1972), Ronald E. McNair Post-baccalaureate Achievement Program (McNair – 1986), Upward Bound Math-Science (UBMS – 1990), and Training Program for Federal TRiO Programs (TRiO Staff Training). More information about TRiO is available on the Department of Education website. 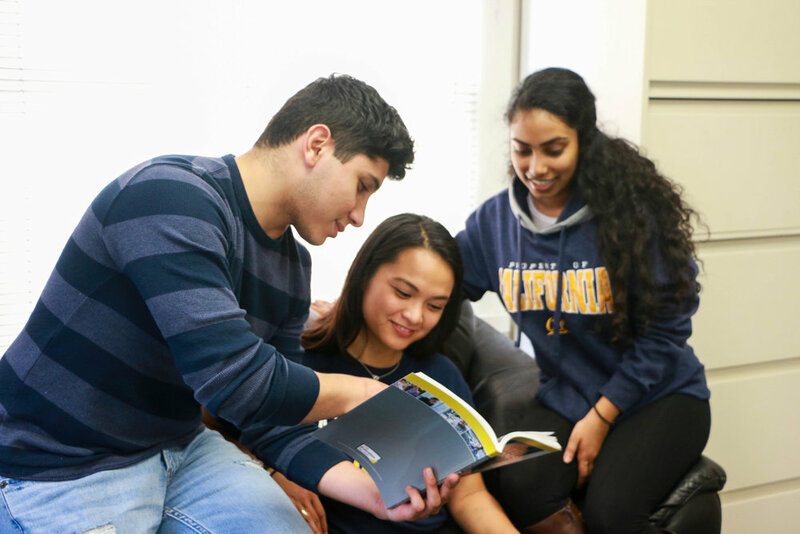 Student Support Services (SSS) at UC Berkeley was established in 1995.